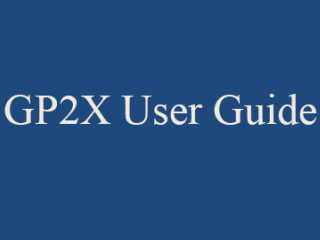 The guide is very popular (over 25,000 downloads) and is now distributed with GP2X's sold through various online stores. rewrote firmware update guide. it now has two seperate sections, updating to v2.0.0 and updating to v2.1.0 as they are slightly different. 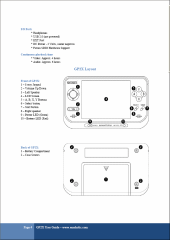 added new sections for the GP2X Menu Skins and Breakout Board. updated development introduction with a new setup I created, should make things easier and also using the very latest SDL libs. If you notice any mistakes in the guide or have a suggestion on a new section to add please let me know. This guide may be freely distributed provided it is not modified in any way and it is not sold for a profit. 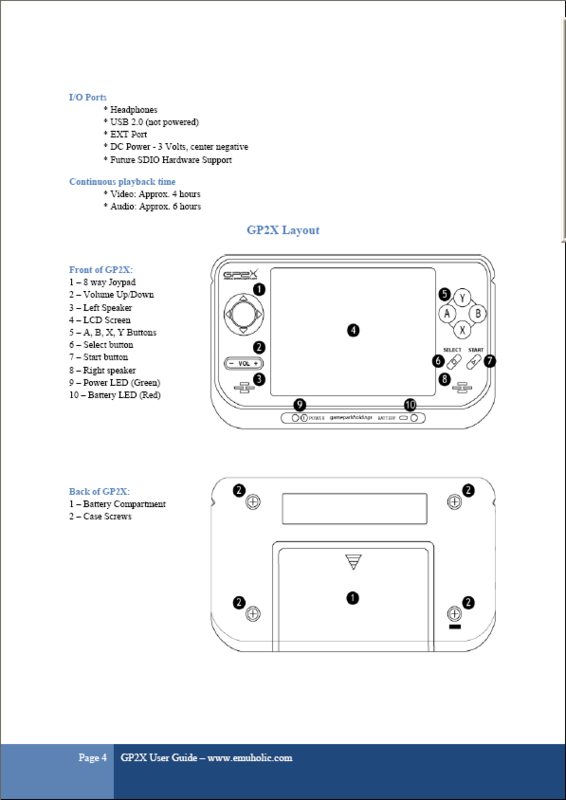 Stores selling the GP2X may include this PDF on their own demo CD/DVD or include a printed version. 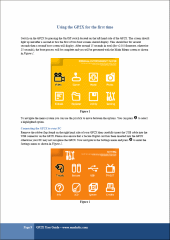 If you find this user guide useful and would like to donate to the upkeep of it you can do so via PayPal. Further details can be found here. All donations go towards the upkeep of my site and if there is enough left over, new accessories for the GP2X. All logos and trademarks in this site are property of their respective owners. This guide is 100% unofficial and not endorsed by Gamepark Holdings. All non copyrighted or trademarked content is ownership of Guyfawkes/Emuholic.com. Guyfawkes/Emuholic.com accepts no responsibility for mistakes in this User Guide.